Course or Program Independent Research with two Professors. Description / Abstract TmB4 is a material that exhibits frustrated magnetism, where the atoms in the material are arranged in such a way that the material must satisfy competing interactions, which results in a multitude of possible ground states. In an applied magnetic field, the magnetization as a function of the magnetic field looks like a stairway where the corners have been smoothed out, called fractional magnetization plateaus, an obscure phenomenon. In the material, the Thulium atoms (Tm) can be thought of as separate 2-D planes that are stacked on top of each other, separated from each other by a layer of Boron (B). This 2-D arrangement of Thulium atoms can be mapped onto the Shastry-Sutherland lattice, a lattice originally studied by Archimedes, and on which Professor Shastry and Bill Sutherland proposed a quantum mechanical problem for which they provided a solution for in 1981. 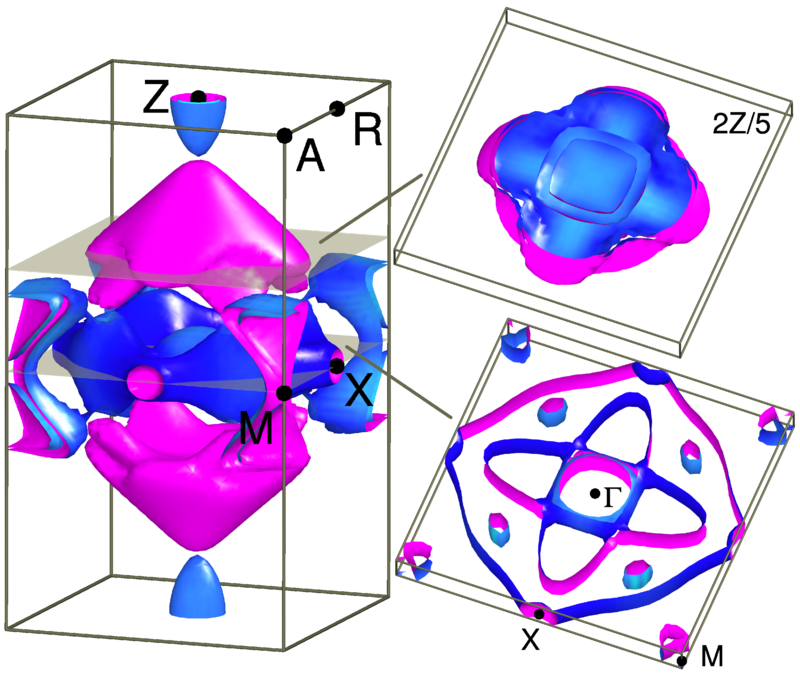 In our paper, we use ab-initio computational methods to investigate the electronic and magnetic properties of TmB4, and further develop models that capture the strange phenomena.